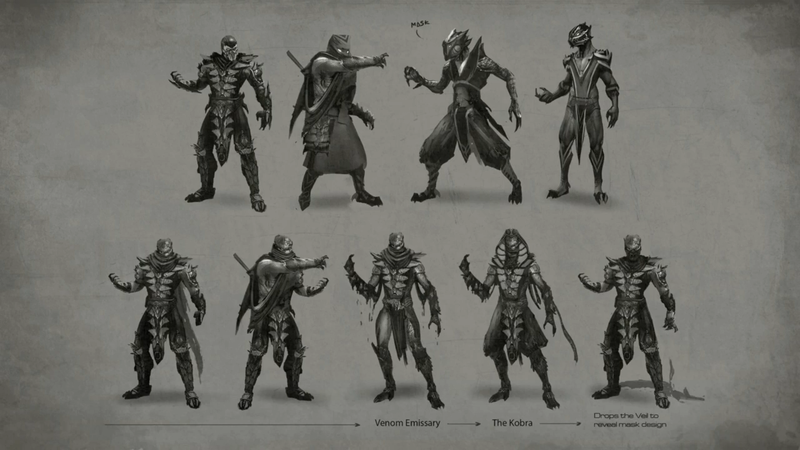 At some point - possibly before the death of the Great Kung Lao 500 years ago, or possibly after - Reptile joined Shang Tsung and Goro on Earthrealm. He stayed in hiding during the first Mortal Kombat. 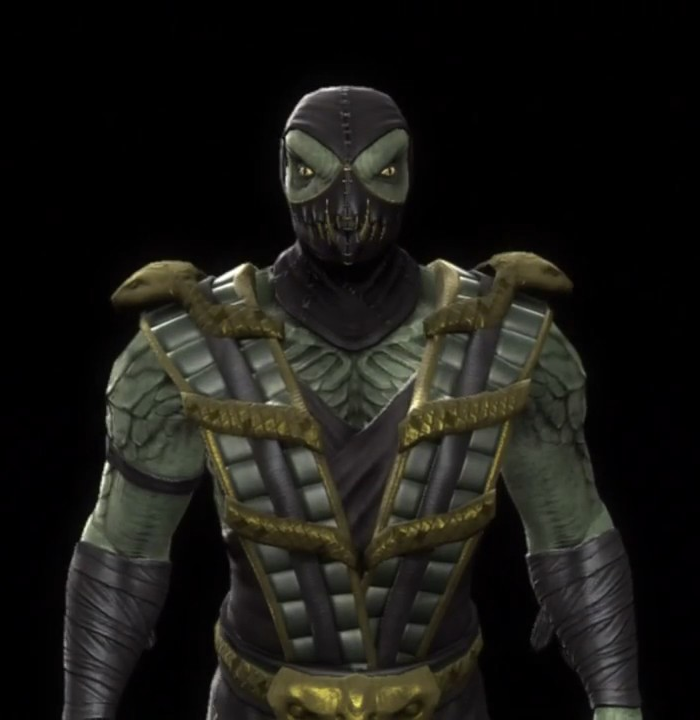 Naturally, when Tsung returned to Outworld, so did Reptile. 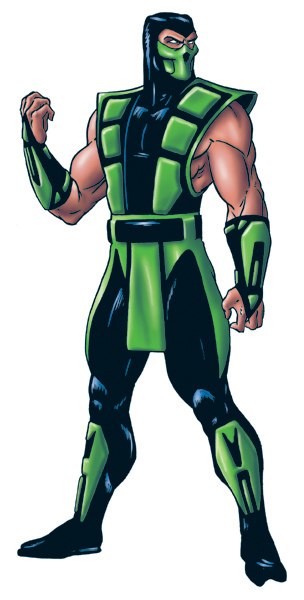 He protected his master from harm during the events of Mortal Kombat II, and then went on to receive special missions from Shao Kahn himself, who had promised to release the remaining members of his race from slavery if he would unquestioningly do his bidding. Such an opportunity arose when Kitana had escaped into the unknown regions of Earthrealm during Kahn's invasion of that world. 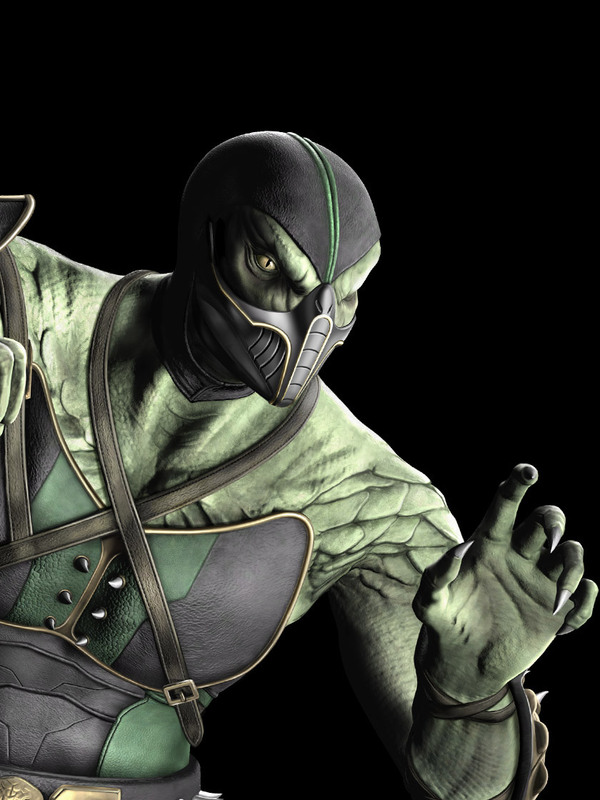 Reptile was sent by Shao Kahn, who promised Reptile to resurrect his race if he succeeded, with Jade to find and, if necessary, kill Kitana. He did not succeed as Jade betrayed him to help her friend Kitana. 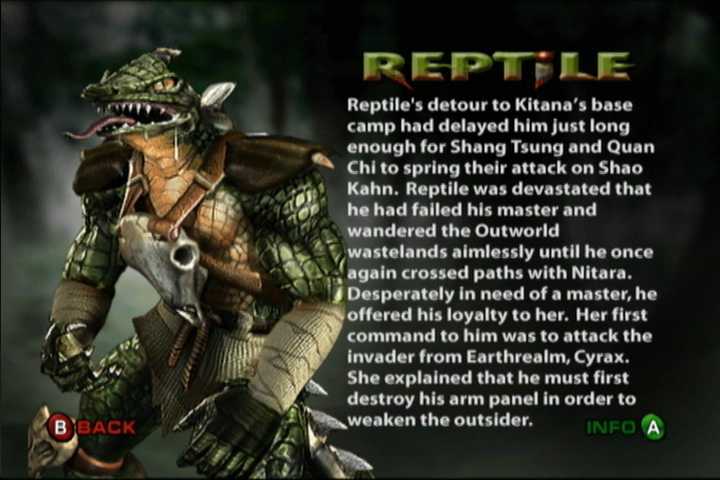 After the war was over, with Kahn defeated and both Earth and Edenia free, Reptile was brought back as a prisoner to Edenia, and tried there for genocide, a bitter irony since his own race once was the victim of the very same act. Reptile was then exiled to the Netherealm. 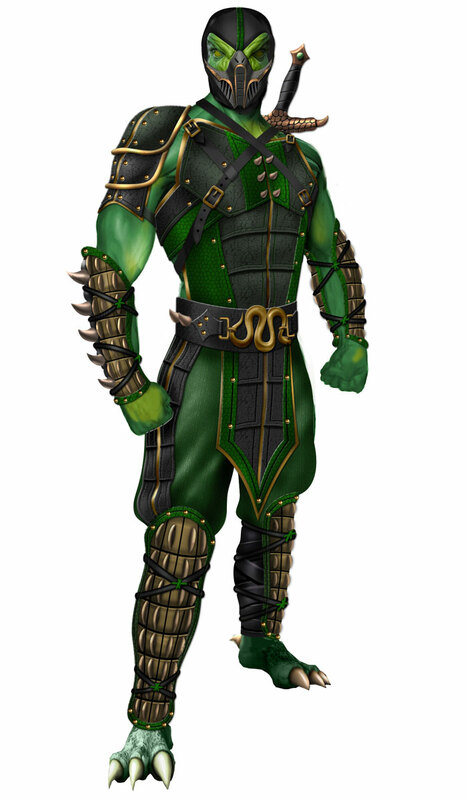 When the fallen Elder God Shinnok invaded Edenia, Reptile grasped the opportunity to join Shinnok's Army of Darkness as a commander, hoping to convince Shinnok to revive his near extinct race. After being on the losing side once more, he escaped into Outworld again and rejoined his old masters, in spite of the fact that neither had ever kept their promises towards him. Because of his state of separation from the other members of his race, and especially his matriarch, Reptile had begun to show signs of devolution. Where he used to mask his appearance by posing as a human, this proved to be no longer possible. 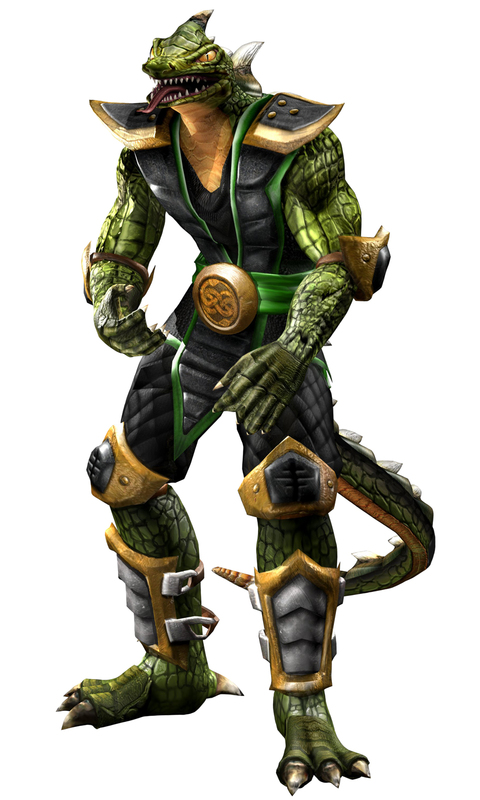 By the events of Mortal Kombat: Deadly Alliance, Reptile had nearly gone insane and had a significantly changed appearance, including a tail. 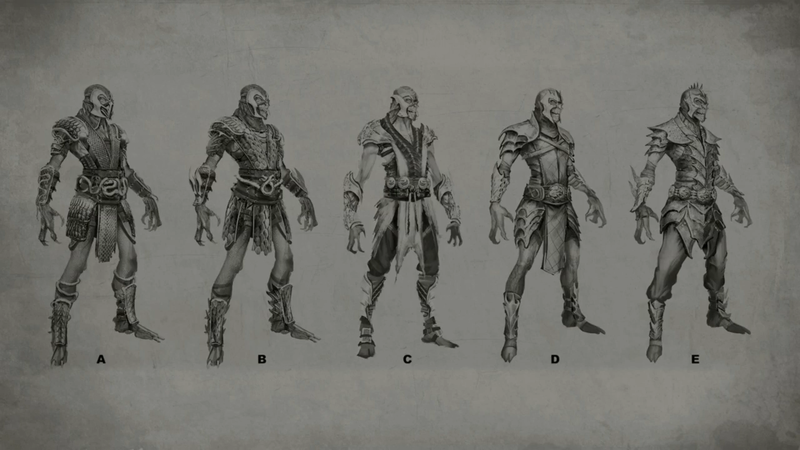 Later it became his alternate costume in Mortal Kombat: Armageddon.With the armies of Edenia and Outworld locked in combat, Shao Kahn requested the services of the sorcerer Shang Tsung. 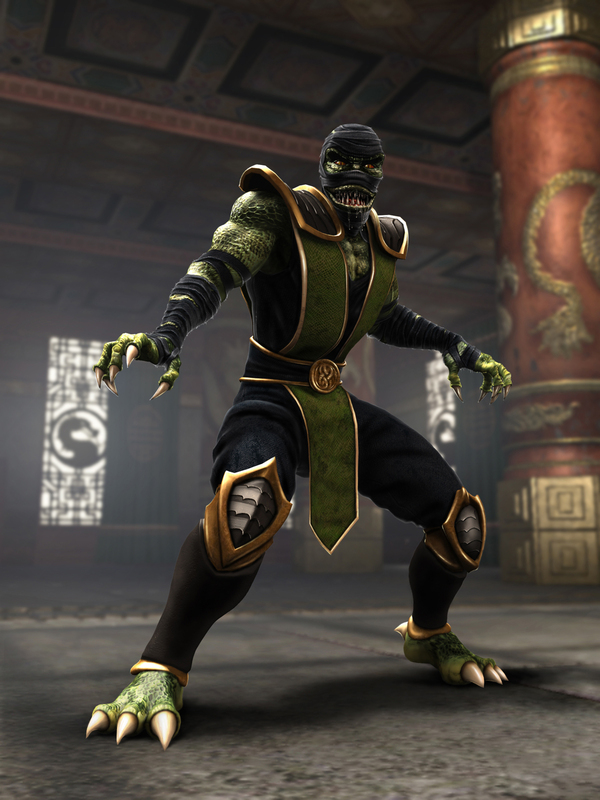 Reptile was sent to tell Tsung of the emperors request but upon reaching Tsung’s new place of residence since being released from prison Reptile overheard Tsung and Quan Chi forming their Deadly Alliance and plotting to kill Shao Kahn. On his way back to inform his master he was distracted by Nitara, who revealed to him knowledge of his lost civilization. She gave him the Kirehashi blade, which was an artifact of the Zaterran civilization, as proof and revealed to Reptile the location of Kitana’s forces. 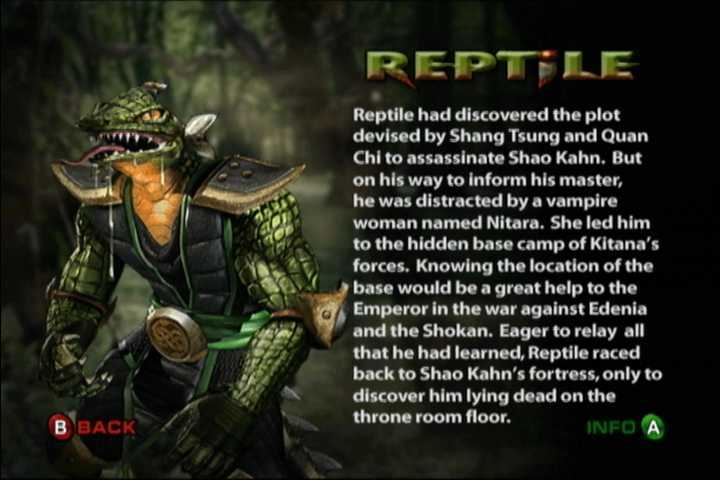 Reptile knowing how this knowledge would greatly aid his master in the war with Edenia raced back to tell the emperor, but he was too late; Shao Kahn lay slain on the floor. The desperate and purposeless Reptile wandered Outworld aimlessly until he came across Nitara yet again. 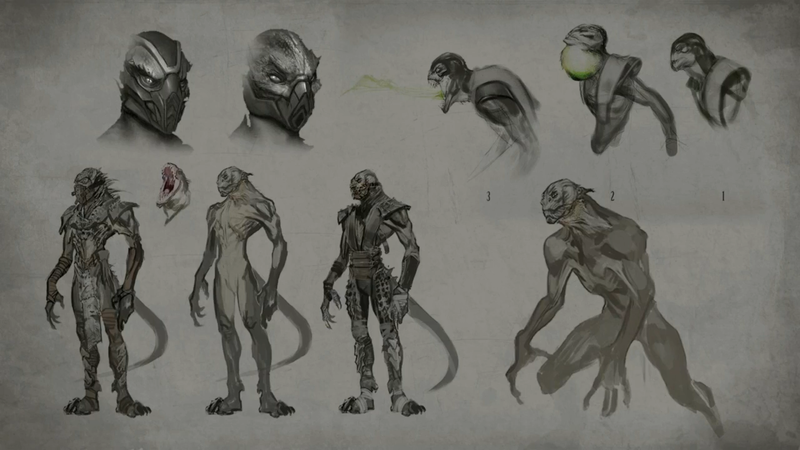 Desperate for a new master Reptile declared his loyalties to Nitara, but unknown to Reptile, he had always been merely a pawn in Nitara's plan to free her people's realm from the Outworld. The first step had been to distract Reptile long enough for the Deadly Alliance to kill Shao Kahn unhindered; next, she manipulated Reptile and the cyber-ninja Cyrax into battle. 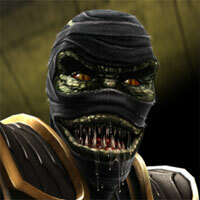 Reptile damaged Cyrax, ensuring the cyber-ninja would later help Nitara in her quest for the portal sphere. Eventually, Reptile came to realize that Nitara had fooled him, and that her plan had lead to the death of his master Shao Kahn. 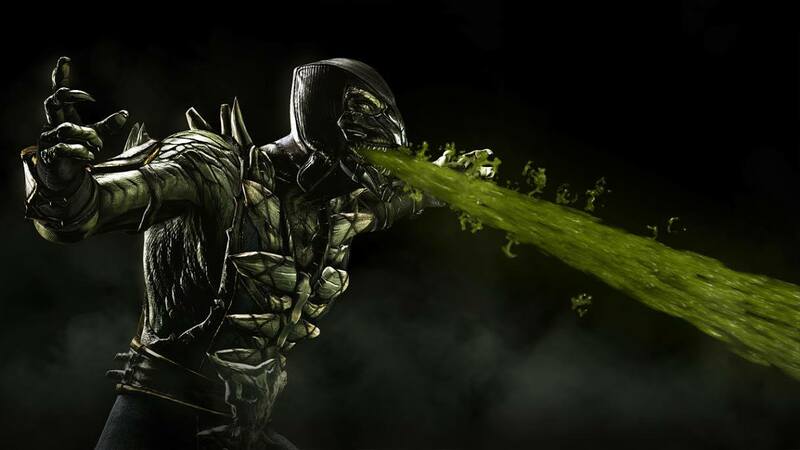 Enraged, Reptile tracked the vampire and Cyrax to the Lava Chamber, but he was too late. The portal sphere had been destroyed, and of Nitara and Cyrax there was no sign. All that remained was the almost fully incubated dragon egg of Onaga the Dragon King. The egg hatched, a beam of light struck Reptile and Reptile's body became the vessel for the reincarnated Onaga. Although claimed by most fans to be 'devolving' into a more primal state since Mortal Kombat Trilogy, there is very little evidence to support that this change is anything but superficial. 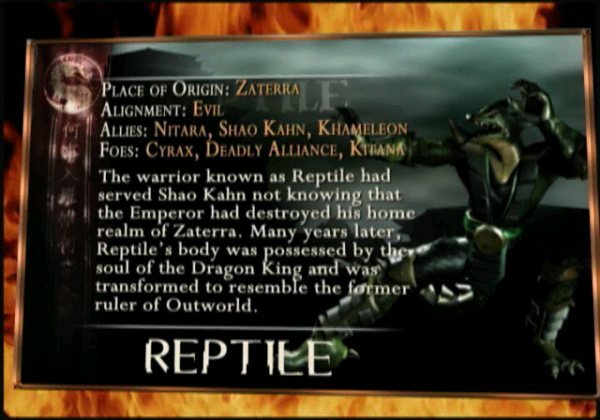 It is described in an unlockable photo of Reptile's home realm Zaterra, that members of his race can lose their humanoid appearance when separated for long periods of time from their monarchal leader; given the fact that this authority figure - like most of his people - were most likely wiped out centuries ago by Shao Kahn, the fact that Reptile did not start to 'devolve' until after he assumed his master killed at the end of Mortal Kombat Trilogy, and his race's natural camouflage ability to look like normal humans, it's more likely that Reptile's 'devolution' was a result of his increasingly maddening state overriding what mental capacity was required to maintain his human guise instead of a physical metamorphosis into a prior state of evolution. 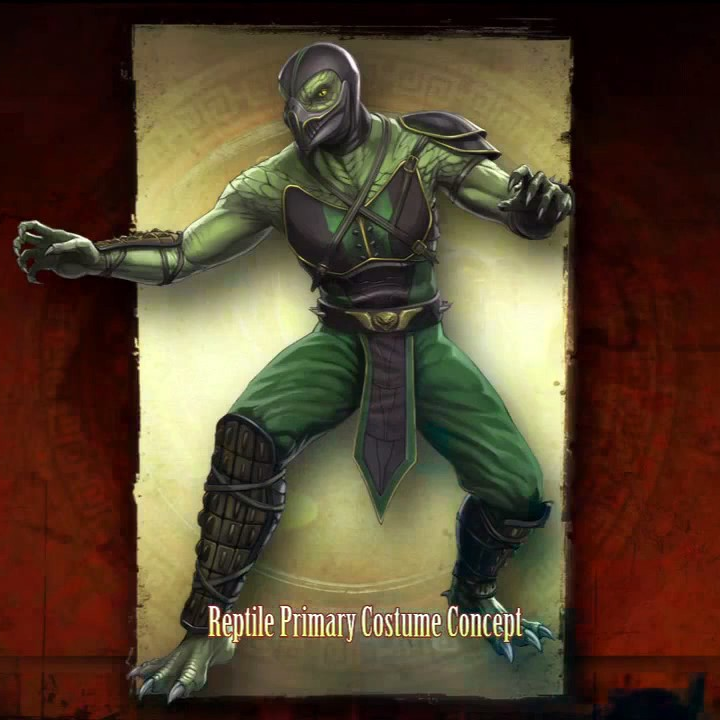 Reptile returns in Mortal Kombat Armageddon, his separation from Onaga seemingly explained by Nightwolf's ending in Deception, whereupon he bound Onaga's soul to the Netherrealm. Reptile is encountered in MKA's Konquest mode in the lair of the Red Dragon clan. Though no explanation is offered as to why he is there, it's possible that Reptile's DNA was also being used, along with Daegon's dragon, Caro's, as a means of creating human-reptilian hybrids, since the Red Dragon Hybrids do bear some resemblance to Reptile. Something about being a secret character in a game just makes you a badass from the get-go. 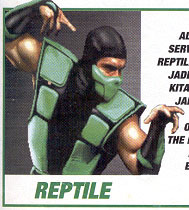 Reptile was indeed one of the first secret characters in not only MK, but the fighting game universe. 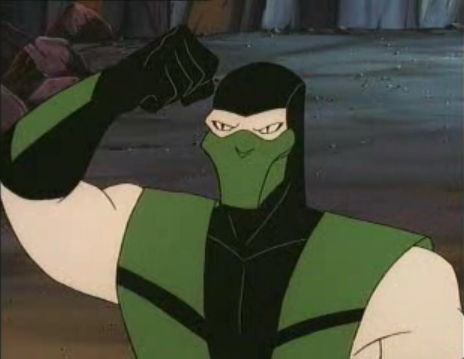 Although he was just a "sprite clone" of Scorpion & Sub-Zero early on, Reptile soon developed into one of the most recognized characters of the MK series. 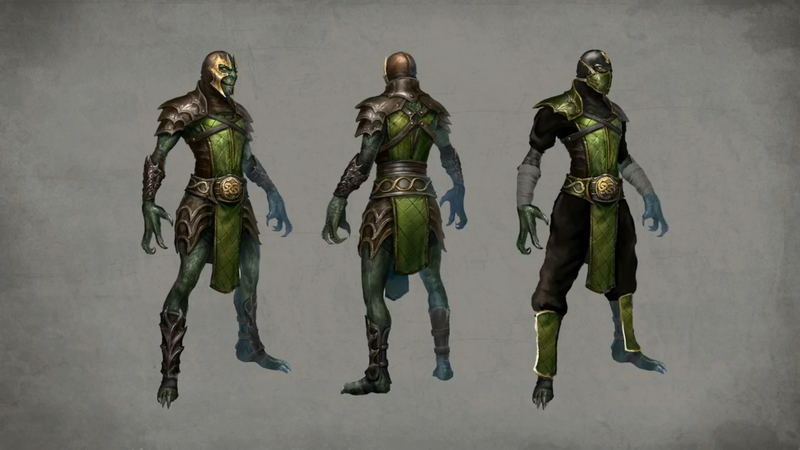 Reptile has a variety of costumes and iterations... probably the most out of any MK character. 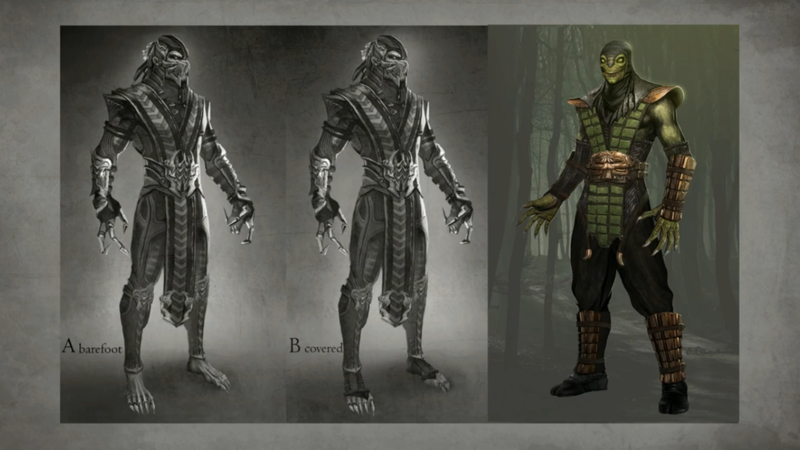 His classic MK2 & MK3 ninja-clone attire was cool, his half-human half-lizard persona in MK4 was interesting, and then he just turned into a full-fledged lizard in MK: Deadly Alliance. 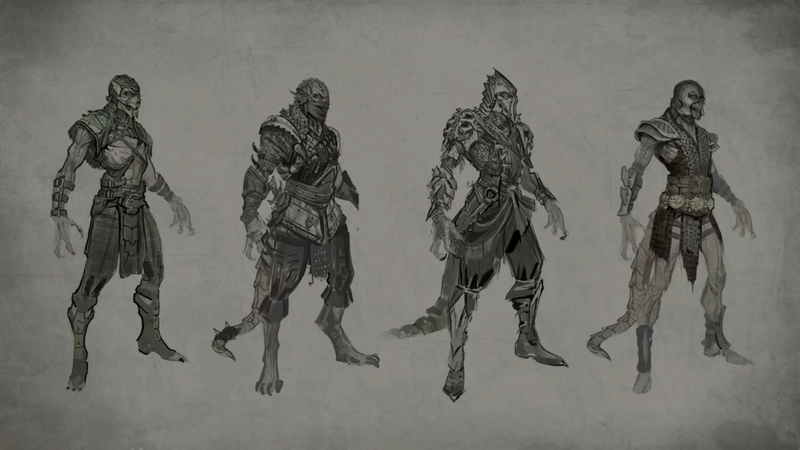 His "true lizard form" was humorous, yet kinda cool as well, even though some might call him a Lizard Man rip-off. 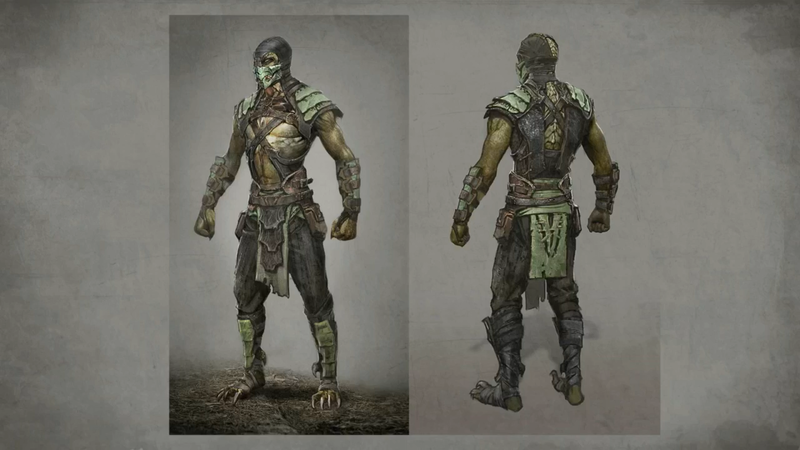 On the flipside, I thought his Deception/Armageddon "Mummy lizard" re-design was pretty damn ugly and uninspired, but his MK9 incarnation was considerably better... even though he looks like some sort of monster-turtle now. lol. Reptile just never stops mutating does he?